Learn more about Halo Community and one of it’s creators, HC SLIK, in this Halo Diehards Spotlight. 1. For those who aren’t familiar with HaloCommunity, what exactly is it? 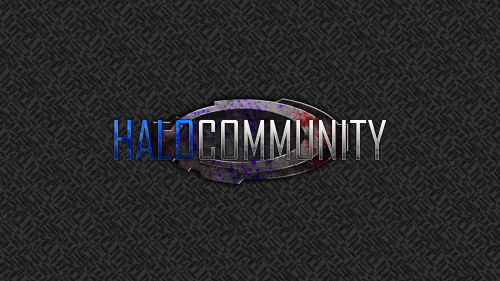 Halo Community is a website where gamers can come together and share their love of the Halo universe. We are very community oriented as the name implies, and most enjoy the conversation in the chat box, or sharing ideas in the forums. 2. How did HaloCommunity get started and who were the key figures in it’s creation? HC started with the closing of Halo Charts, many of us frequented that site and needed a new home with it’s closing. Kegonomics and I got together, and with my ability to finance the site and with his ability to code, HC was born! At the very beginning we had Shocky to do graphics, PillarofFire to manage the forums and prominent group leaders like Boss Vos, Matty Buff, Yonnor, and Bomber. Fid came on board shortly after and his knowledge of coding has made most of the awesome features here possible! Sundown also joined up and his organization of the tournaments and ladders as well as his solid base in forging really made the system what it is today. The staff here has grown into a tight knit group of people who’s only goal is to make this place better for the members. 3. What other websites is HaloCommunity affiliated with? Currently we are proud to be affiliated with KOP (Kings of Pain), Halo Waypoint, Halo Unity, Halo Tracks, The Real Forum, XBL Gamer Hub, and Grifball Hub. 4. Who is welcome at HaloCommunity? Everyone! We play host to a wide variety of gamer styles, and I feel we have something to offer each. We are bound together by our love of Halo, so whether you are a “try-hard” or a casual player there is always a place here. 5. What can gamers expect to find when they get here? The first thing most people find is the chat box. This is like the HC water cooler, and is usually a member’s first contact with the community. The forum is another big draw with the Halo 4 info and fun games. We also have a ladder and tournament system, Halo Missions, an Arcade, Halo Streams, and quite a few groups. The group system here is designed to match members with other like-minded members, and is tiered to allow the group to have a private forum, and the leaders to give the group members awards. 6. What skill range of teams enter leagues and competitions here? Honestly all skills enter the ladders and tournaments. I keep the ladders and tournaments free to enter in order to encourage all to join, from teams that formed to have a good time, to serious MLG teams. We also alternate between more casual fun tournaments and tournaments geared toward the more competitive players. Both always have awesome prizes. 7. What other things does HaloCommunity have to offer that hasn’t been said already? The mission system is pretty underrated. Missions are like the Waypoint daily challenges, and are broken into three tiers based on difficulty. Members that complete these missions are awarded cool player page awards, and we have a leader board to keep track of the mission leaders. Pillar puts out a new mission weekly alternating between campaign, matchmaking and firefight. 8. What do you personally like best about this community? The people. It sounds corny, but it’s the truth. The core of our community would be there for you in a second if you need help in real life. It never ceases to amaze me the connections that are made here. We have two members (Danni and Shocky) that met here and just got engaged at the 343 studio! My flight got in late, so I wasn’t there for the proposal, however I did get to share in the excitement shortly after. Many of the members here game together regularly. 9. Is Halo Community involved with any other Halo content that hasn’t been mentioned yet? Yes, many of the members here are involved with other Halo related projects. Some of our members do Top Ten Halo segments, Machinima, and especially Fan made Halo artwork. The talent of the broader Halo Community and the passion with which they produce things that relate to the Halo universe is outstanding. 10. 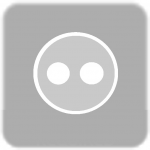 Are there any other key members who haven’t been mentioned you’d like to include here? Danni Cherie has recently taken the helm of the community relations and in addition to doing some amazing graphics work has been pumping out community events like game nights and other fun things for the members. Yonnor has been finding us fun emotes and keeping the chatbox clean, TXson also helps the preeminent group 40A as well as keeping the chatbox clean, and Thundar organizes our customs nights on a monthly basis as well as helping Sundown with the forging. The team here is amazing!